After months of putting off reading this book because I simply didn’t want the series to end yet, I finally braved myself enough to read the book, even if I did some delaying at some point of reading because there still lay my fear of seeing the end of a wonderful and well-written trilogy by Cassandra Clare. As I reached the end of the book, I can’t help but have a mini-flashback in my mind about everything that happened since the start of the trilogy, and then and there, I have come to the realization that The Infernal Devices did easily become my favorite trilogy, surpassing all my past favorites with a turn of a page. We begin the novel with what happened at Adele Starkweather’s marking ceremony which did not occur well; and then we see the scene of Jem’s arrival at the Institute and his unique handling of Will’s “attitude”. Will considered Jem as any other person, which Jem loved, and had Charlotte thinking that their friendship was unlikely at first, then had her thinking otherwise after Will agreed to train with Jem. Then we see the present, just months after the events of Clockwork Prince, which is what I love most about how Cassandra Clare writes sequels to her books: she writes to inform, and not to let the reader miss anything on what has been happening. 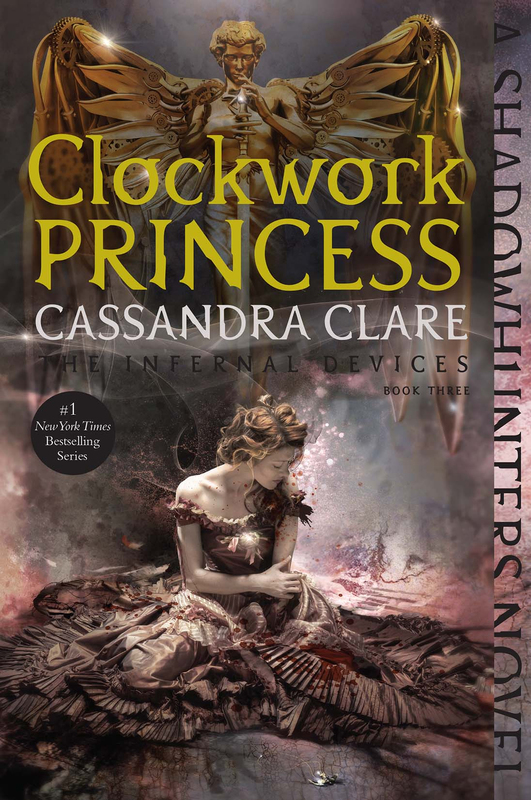 Like all the past two books from The Infernal Devices, Clockwork Princess never disappoints its readers. 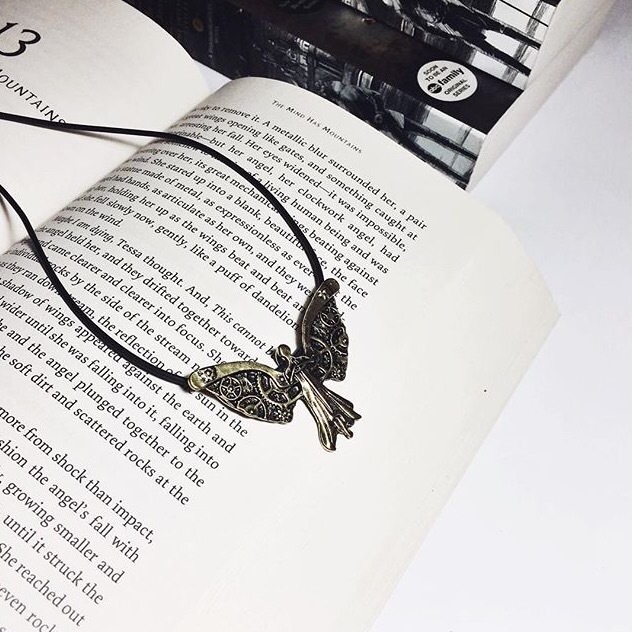 It has a pace that is just so perfect to keep you reading and going on, and wanting to discover more about what happens in the next few pages. The action we see in this book was just so perfectly timed, that I did not in any way find the story to be dragging. We discover more about Mortmain’s plans, about Will, Jem and Tessa’s love for each other, and about Tessa herself. We discovered who Jem was in Clockwork Angel, then Will in Clockwork Prince, and now, in Clockwork Princess, we finally discover the mystery behind Tessa’s real parents, and how she became what she is. As the final book in a trilogy, Clockwork Princess excellently fulfilled its responsibility to create a beautiful end for a wonderful story of a girl from New York. Clare did an excellent job in answering all of the mysteries the reader became curious about since the first book, and developed a great arc for each of her characters (even the newly introduced ones). This book exceeded all my expectations, and made me want to return to Victorian London in the near future. Definitely a great start for 2016, and highly recommended for all historical fiction, steampunk, and urban fantasy fans. Tessa grew to be one of the most compassionate, most understanding, most headstrong, and most fearless heroines I’ve read about, and I love that her character screams feminism all throughout the trilogy. You can see her strong will and willingness to do everything for the people she loves. Most of all, I love that she didn’t feel like she had to choose between Will and Jem. She knew in her heart that she loved them both equally, as Will and Jem loved her too and each other for they knew what it really means to be best friends and parabatai. Cassandra Clare created a very beautiful love triangle, where no one wished the other ill will. Sometimes, even I couldn’t choose between Will and Jem. Like Tessa, I have learned to love them both. For that reason, along with all others, these books will always have a very special special place in my heart. Definitely an epic conclusion to a magnificent trilogy. It also turned out to be my favorite trilogy. I love reading your thoughts about it Jaymee. It makes me want to reread the trilogy over and over again. It’s heartbreakingly sweet. It is definitely a roller coaster ride. I can’t wait for Lady Midnight! Ah yes! Can’t even wait for March to come because of Lady Midnight 😍 Thank you! !